赵亚楠, 李朝奎, 肖克炎, 范建福. 基于Hadoop的地质矿产大数据分布式存储方法[J]. 地质通报, 2019, 38(2-3): 462-470. 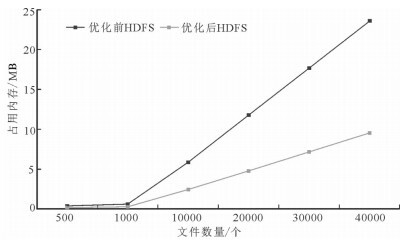 Zhao Y N, Li C K, Xiao K Y, Fan J F. Research on distributed storage method of geological and mineral big data based on Hadoop[J]. Geological Bulletin of China, 2019, 38(2-3): 462-470. Abstract: With the advent of the era of big data of geology and mineral resources of terabytes and petabytes grades, geological large data storage problem has been bothering geologists. The traditional pattern of geological data storage and service faces many problems. 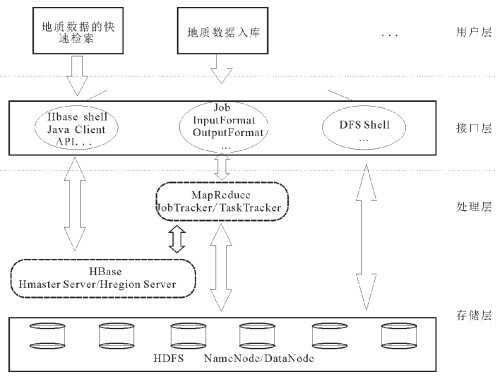 In this paper, based on Hadoop, the authors put forward a new kind of geological and mineral resources data storage method based on cloud computing environment, and a comparative study of this method and the traditional storage method of the Oracle database data storage experiment was carried out. 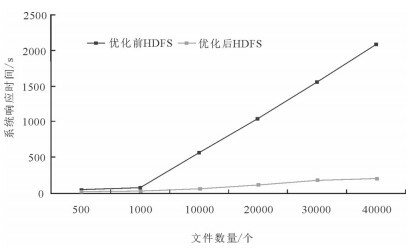 The experimental results show that the method proposed in this paper is more efficient than the traditional method and can effectively solve the problem of small file storage in Hadoop storage. The research results provide a new management method for the storage and management of geological and mineral data. 朱月霞, 侯建光.基于大数据的地质数据存储与管理研究[C]//南京: 江苏省测绘地理信息学会2014年学术年会论文集, 2014: 105-107. 赵向前, 张东阳. 试析地质勘探在地质找矿中的应用[J]. 洛阳:河南科技, 2014(4): 56-56. 陈康, 郑纬民. 云计算:系统实例与研究现状[J]. 软件学报, 2009, 20(5): 1337-1348. 崔俊生. 地理信息系统和遥感结合的现状及发展趋势[J]. 投资与合作, 2014(10): 247-247. Shvachko K, Kuang H, Radia S.The hadoop distributed filesystem[C]//Mass Storage Systems and Technologies(MSST), IEEE 26th Symposium.2010: 1-10. Chang F, Dean J, Ghemawat S, et al. 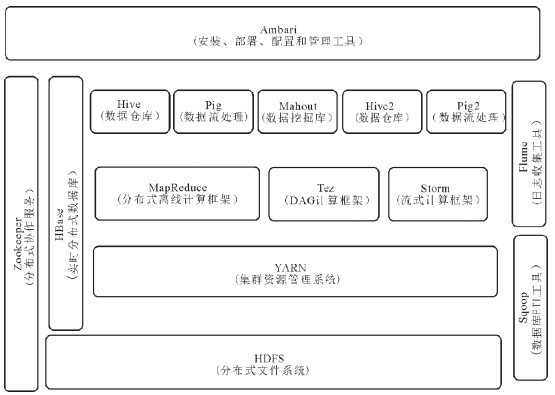 Bigtable:A Distributed Storage System for Structured Data[J]. Acm Transactions on Computer Systems, 2008, 26(2): 205-218. Henzinger T A, Jhala R, Majumdar R, et al.Lazy Abstraction[C]//Acm Sigplan-sigact Conference on Principles of Programming Languages. ACM, 2002: 58-70. Godefroid P. Model checking for programming languages using VeriSoft[C]//Proc.24th Annual ACM Symposium on the principles of Programming Languages(POPL) 1997: 174-186. 陆嘉恒. 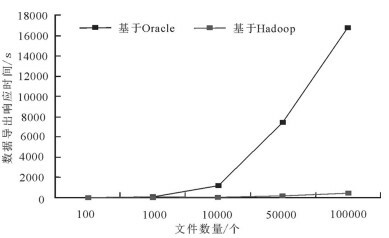 Hadoop实践: 第2版[M].机械工业出版社, 2012: 36-38.